Connie Uddo, Executive Director of NOLA Tree Project, has been on the front lines of disaster recovery since Hurricane Katrina in 2006. She spearheaded the recovery of the Lakeview and Gentilly neighborhoods of New Orleans as Executive Director of St. Paul’s Homecoming Center. 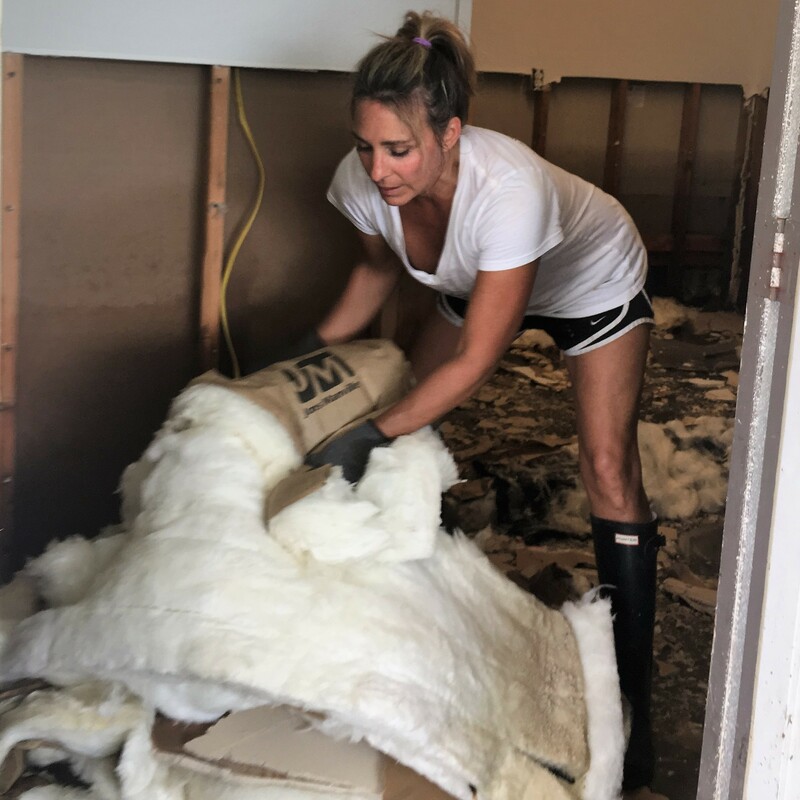 With lessons learned during the New Orleans recovery, Connie brought her experience to similar disasters in Cedar Rapids, Iowa, New York, and New Jersey after Hurricane Sandy. Recent floods in Baton Rouge and tornado damage in New Orleans East continued to bring Connie’s expertise to communities in need. In 2011 Connie took over Hike for KaTREEna, an organization founded to replant the 100,000 trees lost during the storm. 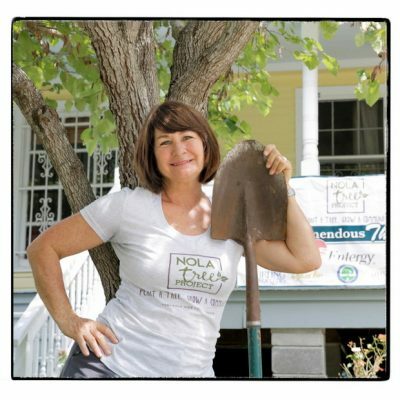 She recently she founded the NOLA Tree Project to continue the replanting, and expanded into developing and planting community and schoolyard orchards as well. 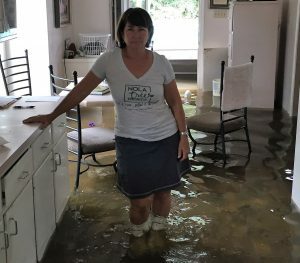 Connie has coordinated over 90,000 volunteers, replanted and given away approximately 40,000 trees, and has helped thousands of New Orleans residents rebuild their shattered homes and lives. She has won numerous awards, testified at two US Senate Hearings, has been featured on NBC Nightly News “Making a Difference” with Brian Williams and CBS Sunday Morning “New Orleans After Katrina: A Tale of Two Cities”. She has also been featured on the ABC Secret Millionaire TV Show where Hike for KaTREEna was awarded $40,000 for her work, and featured in the PBS documentary “Katrina Ten Years After: A Second Life a Second Chance”. Connie has been a guest speaker to many groups, corporations and organizations throughout the country. Robin Young, Program Director of the NOLA Tree Project has over 20 years of nonprofit rebuilding and disaster recovery experience. After graduating from Gonzaga University, Robin logged in over 15 years of construction experience with Habitat for Humanity in various locations around the globe. 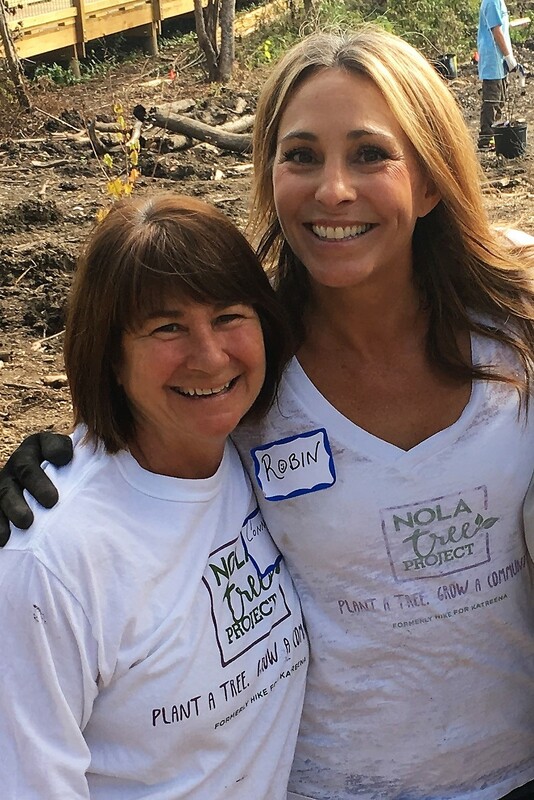 In 2008 Robin moved her family to New Orleans to work on the frontlines of Hurricane Katrina recovery with Rebuilding Together New Orleans, where she worked tirelessly with hundreds of families to help rebuild their shattered homes and lives. In 2015 she joined Connie Uddo at Hike for KaTREEna and helped expand that organization as the NOLA Tree Project, and now the NOLA Volunteer Project. She spearheads the disaster recovery crews, and loves to swing a sledge hammer. Robin is passionate about volunteering, and is dedicated to inspiring and empowering volunteers to transform lives and communities. 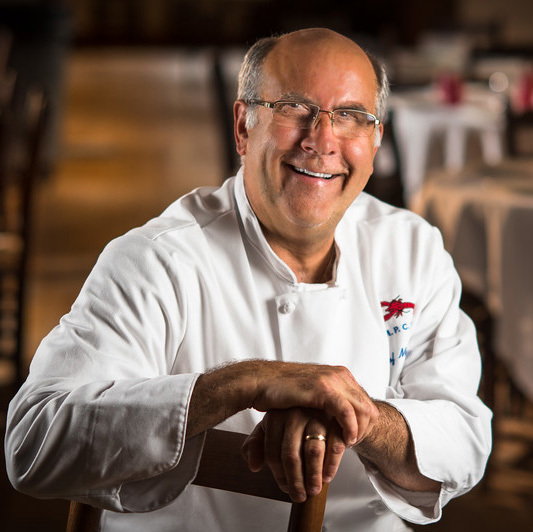 Mark Uddo, Chief Administrator of the NOLA Tree Project, is a professional chef who has prepared and provided over 90,000 meals to volunteers and disaster victims. He and Connie opened their home post-Katrina as Lakeview’s first recovery center which soon evolved into the St. Paul’s Homecoming Center. He started the Harrison Avenue Marketplace in 2008 in a flooded strip mall to create a gathering place and respite with food, beverages, music and vendors to generate and restore economic activity to Lakeview’s commercial corridor. It is still going strong today. In 2007, he received the Distinguished Alumnus award from the University of New Orleans. Later, he was given Legend status as a Best Chef of Louisiana. More recently, he was selected as the 2015 Role Model by the Young Leadership Council of New Orleans. He continues to participate in providing meals to victims of disasters and volunteers helping in their recoveries from the Far Rockaways in New York, to Baton Rouge & Denham Springs, Louisiana, and now Houston, Texas.